As you use your computer it starts losing speed and its performance deteriorates as time goes by. This is normal, but it's advisable to carry out maintenance tasks on your computer to improve how it works. 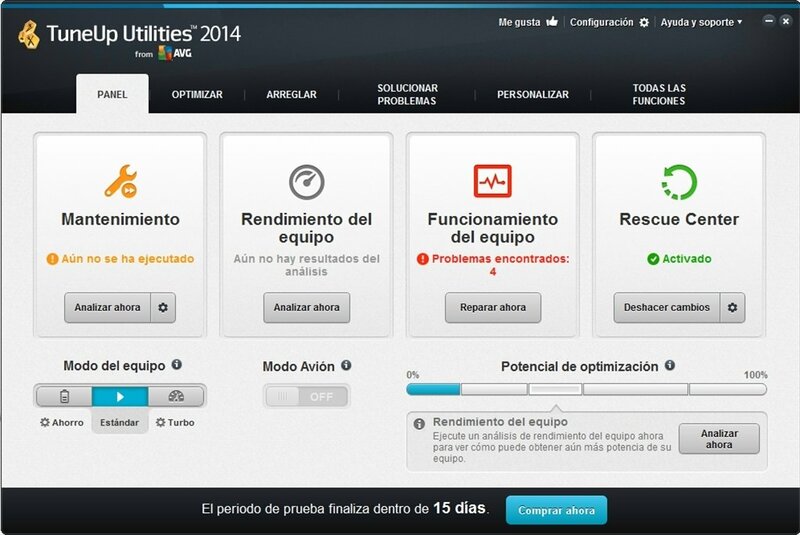 TuneUp Utilities is one of the best tools designed for this task. By means of practical modules you'll be able to clean your computer, customize its features or free space, to have greater stability, performance and speed. 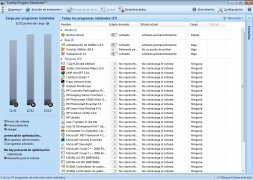 System maintenance: By means of a single click, you can make TuneUp Utilities carry out all the maintenance tasks on your computer without having to worry about anything else. 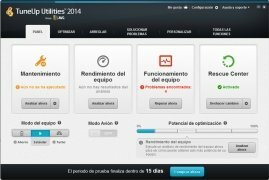 Improve the performance: obtain clear and simple recommendations about the tasks that you have to carry out to optimize the system. Solve problems: after a system analysis you'll obtain a complete report about the problems that occur on your computer and you'll be able to make TuneUp Utilities solve them automatically. Optimize the system in real-time: manage to launch applications much quicker and distribute the system resources effectively. Turbo mode: if you use this mode, TuneUp Utilities will obtain the best possible performance from the computer. 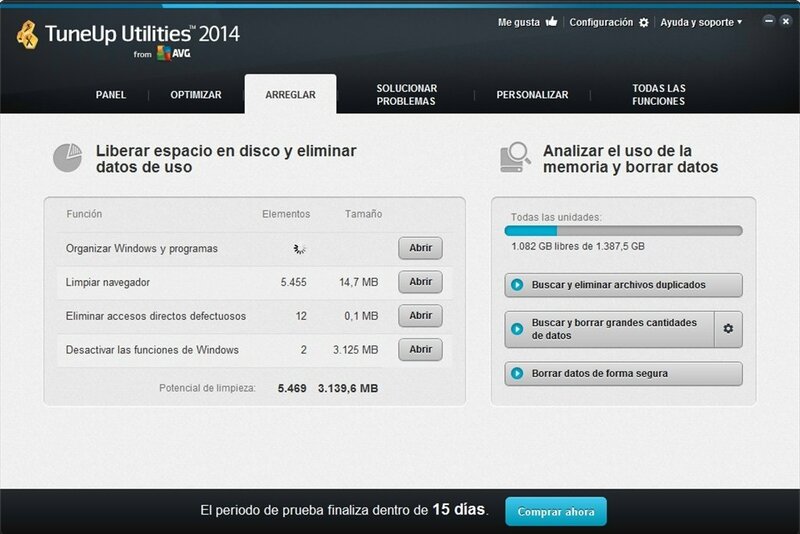 Optimize your PC with TuneUp Utilities. With TuneUp Utilities you'll also be able to carry out a large amount of tasks manually to improve how your computer works. For example, you will be able to clear the Windows registry, eliminate faulty shortcutS, deactivate programs from the system start-up, remove unnecessary files or customize the options and behavior of Windows. 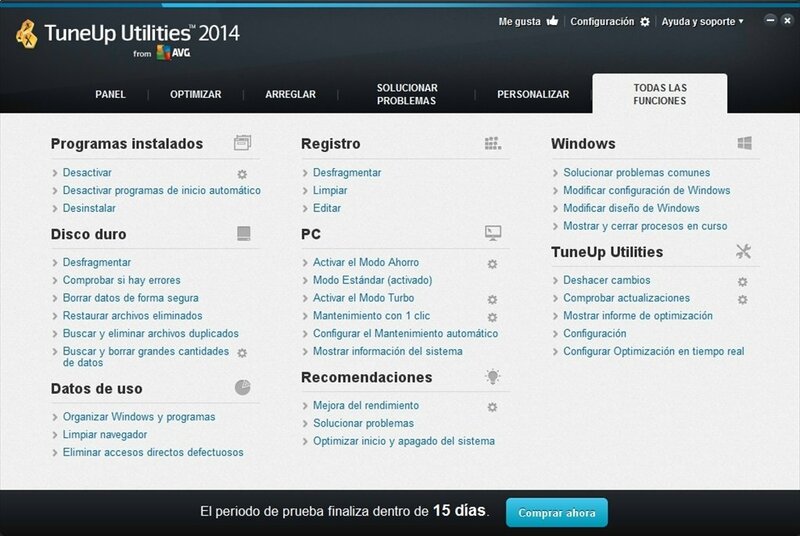 Stop searching and download TuneUp Utilities for free. After using it, you'll realize that your computer is working just like the very first day.